At Contractor 20/20 our success is measured by our clients’ success. Some of our clients are just starting out and looking for us to give them a little boost. Other clients have big ideas for the future and need our direction and assistance to help them get there. Regardless of our clients’ goals, whether they are small or large, short-term or long-term, we are here to help our clients attain what they are after. Our team of marketing professionals is experienced in the latest and most effective marketing methods, and we’ve developed a comprehensive list of the steps that we take to ensure that our clients’ goals are met and ROI is maximized. Step #1: Evaluate needs, growth potential, and budget. There are several factors that go into determining how much a company should be investing in an internet marketing campaign. We not only consider your budget, but also your current sales, pricing, growth goals, and growth potential. Not every company’s situation is the same, so we work one-on-one with all of our clients to assess how much of an investment makes sense for them at this particular time. this. By gaining an understanding of the lifestyles, values, interests, and other attributes of your ideal customers, we’ll be better able to cater your marketing campaign specifically to them. Step #3: Collect data and audit current situation. We look at your current online presence and any marketing strategies currently in effect. If there are any underlying problems, we find them so that we can deal with them head-on. short-term and long-term goals. What can we accomplish in a short span of time? What do you hope to attain down the road? Step #5: Determine the most cost-effective way within your budget to reach your goals. There are various methods that can be used to increase traffic to your website and strengthen your online presence. The question is which methods will create the biggest bang for your buck. We weigh the pros and the cons of the methods and figure out which routes make the most sense for each individual client. to limit your risk and make your marketing campaign a success. Our initial evaluations allow us to discover issues, so that we can work to prevent or overcome them. Step #7: Work hard and work smart. remain agile, open-minded, and creative. Step #8: Track, analyze, and report. 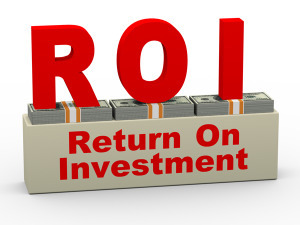 Determine return on investment (ROI). your site, when the call was made, and how long the call lasted. On-site analytics tracking –It’s important to be able to see how well your website is performing. We’re able to measure conversions, determine which of your website pages are being viewed most frequently and which parts of your site perform the best. We want to know that the people visiting your site are actually becoming customers. After analyzing this information, we can make adjustments that will make your website perform even better. We keep you in the loop. We compile the information yielded from our tracking and analyzing in a clear, easy-to-understand manner, so that you can effortlessly compare where you are now to where you started. You’ll receive accurate cost-per-lead and ROI figures, so that you are never in the dark as to what you are gaining from your investment. Your feedback is important to us. If you have a question, comment, concern, or idea, we want to hear it! Once a plan has been implemented it must be continuously optimized. We are constantly looking for ways to improve upon your website, online presence, and overall marketing campaign because the truth is that there’s always something that can be done to take it up a notch. Step # 10: Repeat steps 1 through 9 frequently. As time moves forward, situations, needs, budgets, and goals can change, so reevaluation is a must. By repeating the steps often, we ensure that your investment is continuously yielding the best possible results.